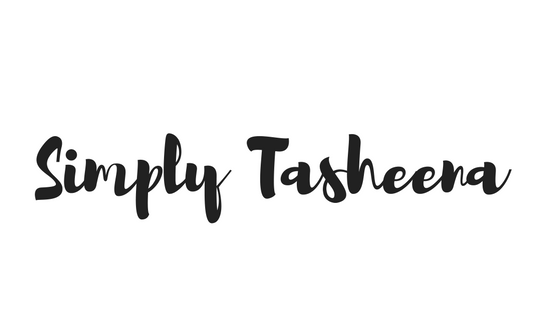 Welcome back to SimplyTasheena.com. 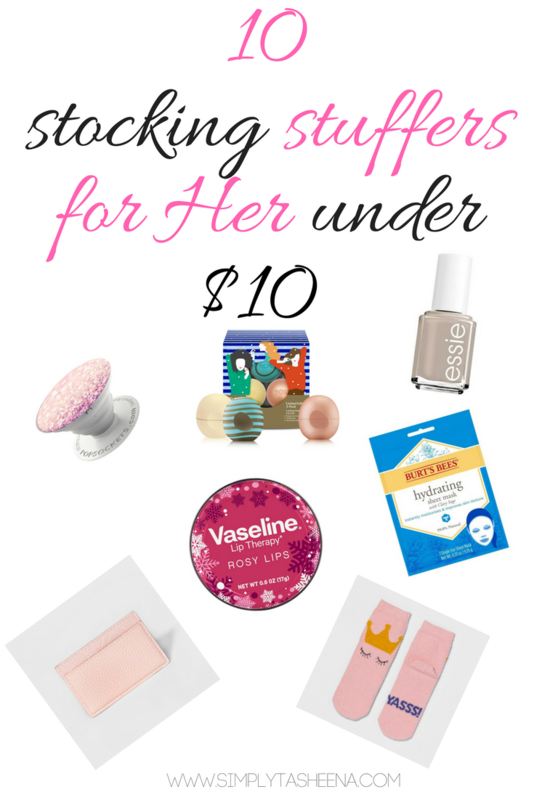 Today I will be sharing 10 Stocking Stuffers items for her under $10. One of the things I love most about Christmas is shopping for the stocking stuffer items for my family. Yes, you could easily just add gift cards. However, I like to add a mixture of wants and needs into the mix. Today I sharing 10 items for her. Most, if not all of these items are appropriate for teen girls as well. What I love about this list is that you can easily click on the item purchase it online without having to run around the store. Such a bonus right?! Anywho, What's your favorite stocking stuffer item to receive? This is a fantastic list! Burt's Bees products are my favorite and I have a tube of their lip balm in every place possible: my car, my pocket, my purse, my desk...you get the idea! And who doesn't need a cute pair of fuzzy socks?! Great post! These are awesome stuffers! I would be hapoy to have that Vaseline lip balm. Does it leaves a rosey kissable lips? Perfect timing I'm just about to start my holiday shopping. I'm all over those peppermint mocha lip balms! Going to buy the phone thing now! Wanted one, didn't know what it was called, still don't know. Have to have it! Lol. These are some really great ideas. I love the EOS balm so that would be perfect for me! What a great list and all under 10$! I would love to have them all especially the cute pair of socks or the mug! Love the socks and the journal. I am always looking for cute ideas for my friends! The socks there are really cute. My daughter would also really love the mask. Looks like some fun stocking stuffers that aren't just candy.